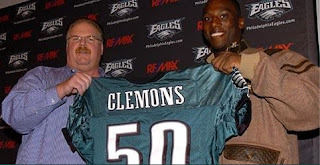 Bleed Eagles Green: Philadelphia Eagles Blog: Is Clemons A One Year Wonder? Clemons cannot be any worse than Kearse! Is Clemons actually worse than Howard, YIKES! !